Now that I’ve finished my EPIC SECRET PROJECT, I can go back to my lovely purple sweater! Time for more cables! I finished off both fronts, which are both generous 10″ by 30″ rectangles of thickly cabled loveliness. Then I did something else that I really enjoy, but don’t do nearly enough- a three-needle bind-off. 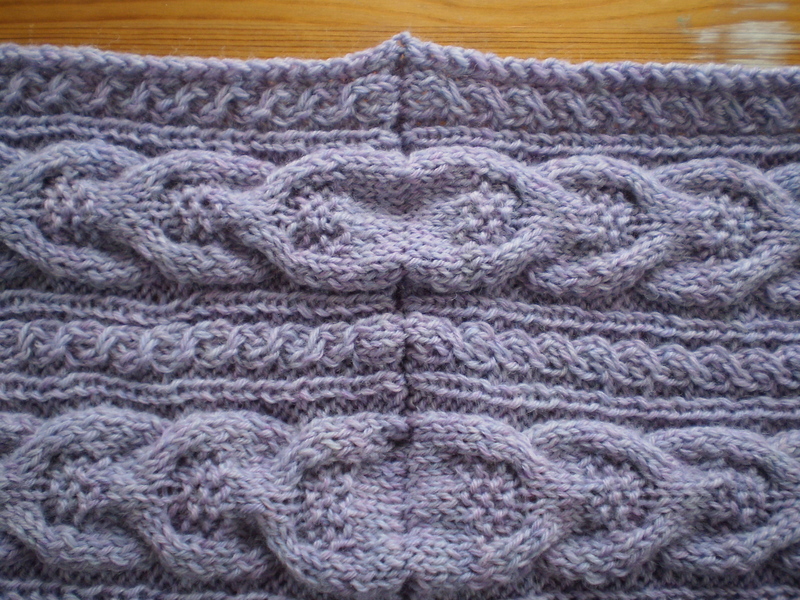 The tops of the front panels are joined together at the spine with a beautifully neat row of three-needle bind off. The cables come together perfectly, and it just looks so professional. It’s a technique I don’t use much, but one that always gets me excited. It reminds me of a zipper, carefully mushing two separate pieces together so that they fit perfectly together. It’s just so satisfying. Then, I picked up a bunch of stitches across the back and now I’m chugging along on a big ol’ panel of stockinette for the body back. If I were to do it again, I think I’d add another big cable running down the spine. But I don’t feel like ripping out all my work, so I’ll just leave it as is. I’m still unsure how wearable this sweater will be- it’s kind of an odd shape. But I’m absolutely loving working on it. If it ends up being unwearable, I can at least rip out the back and sleeves and be left with a pretty scarf. This entry was posted in On My Needles and tagged cable, cardigan, knit, knitting, stranger cardigan, sweater, wip on May 25, 2016 by onemilljellybeans. I love the 3-needle bind off too! And yes, it makes your sweater look totally professional! Such a neat, orderly technique! I think you’ll like the shape once it’s done and you wear it. I wasn’t sure about that shaping either before I wore it and now I really like it! I am in cable mode too. Finished 2 sweaters for me last year in cables. 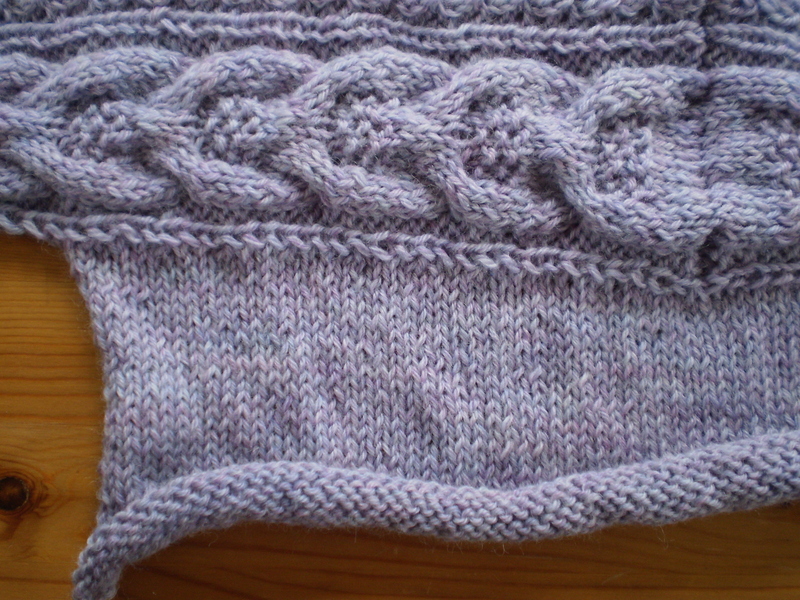 Now working on 2 baby sweaters I am designing with cables. And I am sure I have tons more bookmarked in my queue with cables!! !